TRAVELING TO THE SNOW FOR THE HoLiDaYs?? Winter isn't a reprieve from the sun; in fact, it can multiply the sun's threat to your skin while adding the harsh elements of wind and cold. Snow reflects up to 300 percent more ultraviolet (UV) rays than sand, and thinner air blocks less light, increasing the risk of sunburn by 4 percent with each increase in altitude of 1,000 feet. Kiehl's All-Sport “Non-Freeze” Face Protector SPF 30 Sunblock combats UVA and UVB rays while providing a top layer of skin-armoring moisture to guard against windburn. The balm essentially creates a barrier between your face and the elements, locking moisture into your skin and keeping the cold air from drying it out. It's especially good for skiers, snowboarders and other people who love winter sports—but it's just as useful for those of us just trying to walk a few blocks in the freezing cold. Star Makeup Must-Haves Here at Blush! Check out what is inside these celebrity makeup bags! 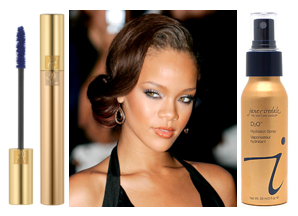 Rihanna uses YSL's Mascara Volume Effect Faux Cils in Extreme Blue to get intense, dramatic lashes. Jane Iredale's D2O Hydration Spray is a staple in her makeup bag too. The star tells InStyle magazine, "This sets my makeup. Or if your skin is tight and dry, just spray it on to hydrate." 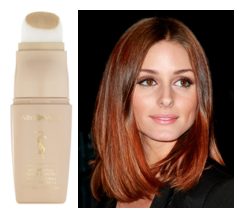 Olivia Palermo always keeps YSL's Perfect Touch foundation in her makeup bag. "The City" girl tells Elle UK magazine, "I've tried others, but I keep going back." We don't blame her! Perfect Touch is part of YSL's Radiance Essentials. The brush applicator delivers a smooth, even and naturally radiant finish with sheer coverage for skin that shines from within. 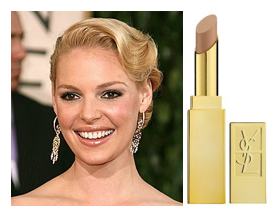 Katherine Heigl uses Yves Saint Laurent Anti-Cernes Concealer. She stashes this in her bag of makeup because the densely pigmented concealer eliminates the look of imperfections while reducing inflammation and puffiness. The creamy texture has light diffusing pigments that fade away even the worst blemishes. You can get the same glamorous look here at Blush with these fabulous beauty products!